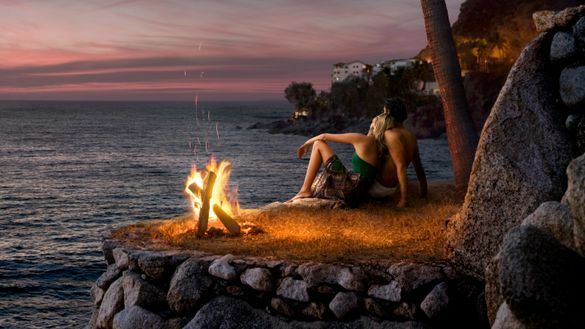 Full of intimate strolls, cinematic backdrops and atmospheric dining, Puerto Vallarta, in the state of Jalisco, and Riviera Nayarit, in the state of Nayarit are two destinations couples don’t want to miss! With a high of 27°C throughout February, the resort cities are perfect for exploring the warmth of Mexico’s Pacific Coast. Whether you’re on a first date or have been loved up for years, you can’t go wrong with these romantic ideas. “Superman” zip line. You book the Extreme Zip Line Canopy Tour with Vallarta Adventures or in Riviera Nayarit’s communities such as Punta de Mita, Sayulita and Lo de Marcos. Or explore jungles, beaches and towns on horseback or quadbike with Rancho Mi Chaparrita in Sayulita or San Pancho! For more information, go to visitpuertovallarta.com. For more information, visit rivieranayarit.com.